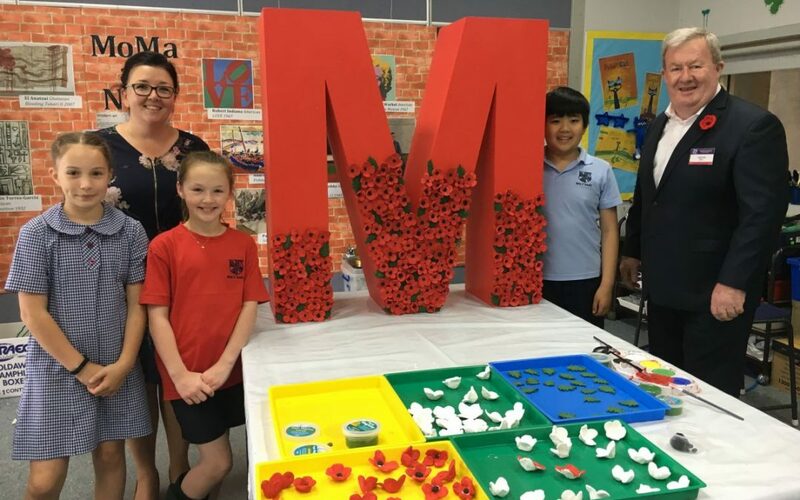 Holy Name Primary School is proudly one of eight schools who are participating in a colourful, imaginative and creative way to commemorate Remembrance Day, particularly in 2018, the 100th anniversary of the Armistice that ended World War One. 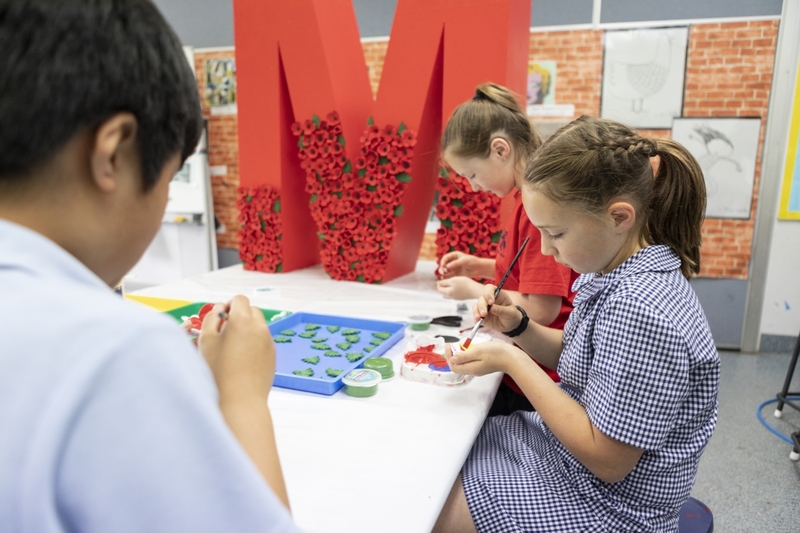 RSL Victoria asked the eight schools for their students to use their artistic talents by decorating a 1.2 metre letter as part of the #REMEMBER project. This project is supported by the Victorian Government, through a Victoria Remembers grant. 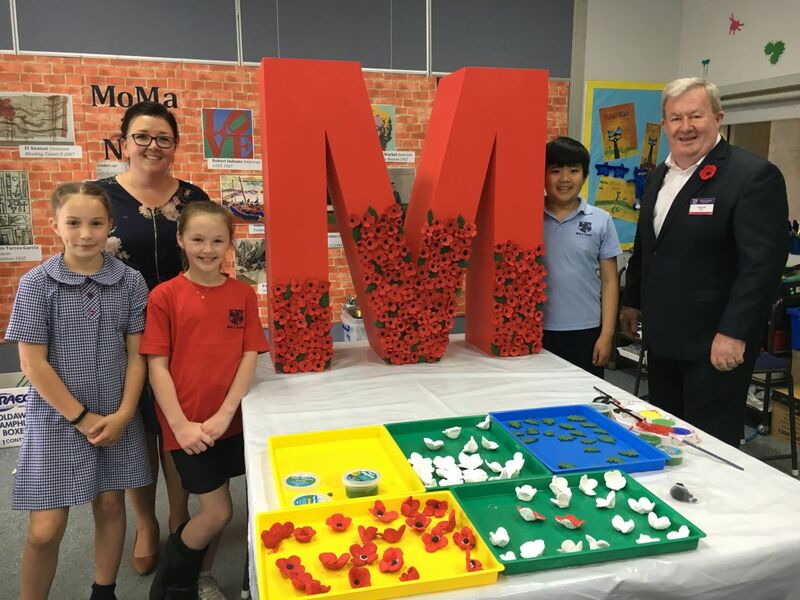 On Tuesday, Peter Smith and Kirsty Kennedy from RSL Victoria visited our school to see how the students have been decorating our letter. Maya, Keeley and Oscar showed them how the poppies were created with paper magiclay and watercolour paint. They were thrilled with how it is coming along and look forward to seeing it when it’s completed. 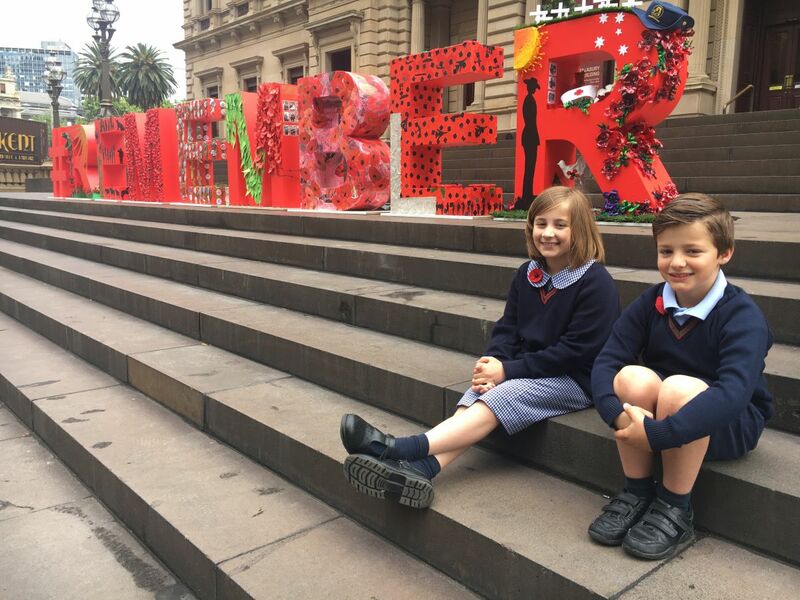 On Monday, 5th November, RSL Victoria proudly launched and displayed the #REMEMBER project in front of the Treasury Building, Melbourne. Students, Isabella and Maxi P attended and Isabella was also interviewed by Channel 7 news. Well done to Isabella for speaking so beautifully about what Remembrance Day represents!